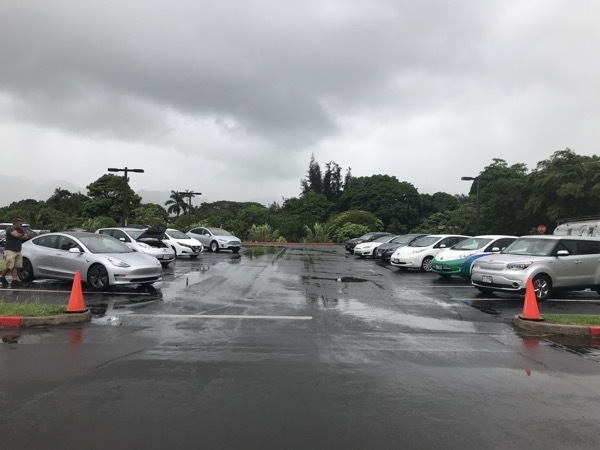 EVs out in Lihue, Hawaii-- rain or shine! Kauai EV, Blue Planet Foundation, and Kauai Community College will be hosting an electric vehicle ride-and-drive event on Saturday September 15th at the Kauai Community Market at Kauai Community College in Puhi just south of Lihue. A variety of electric vehicle models will be available for test drives for the public. Come visit us and learn about how electric vehicles can fit into your lifestyle! Come by to show your support for electric vehicles or take one for a spin in a pressure-free environment.